Bedding is custom made for any size bed. 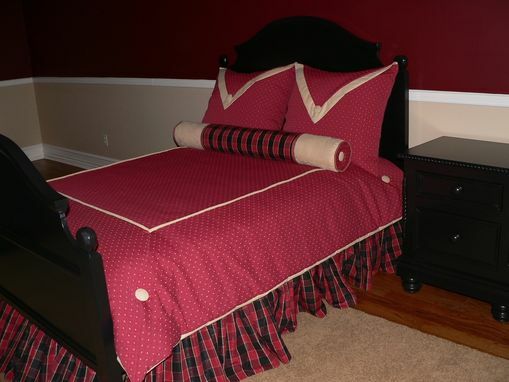 Using tones of Reds, Tans and Black, this striking design is versatile with the comforter being reversible, and the pillow shams may be laundered when the insert is removed. A plad design used for the bed skirt may be used on toss pillows or window treatments as well and you may purchase only the pieces you need.